Exterminate! This impressive Dalek is produced in 1:21 scale, measuring approximately 3-inches. 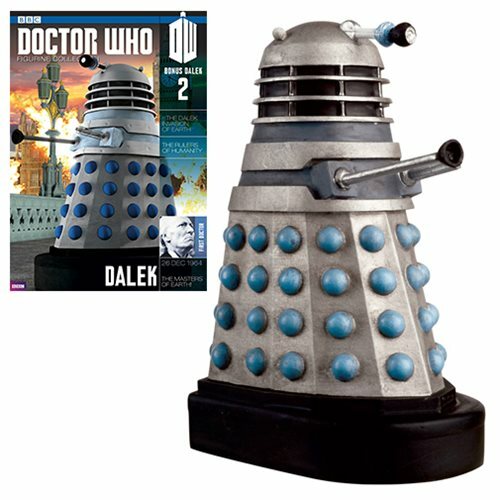 The Doctor Who Drone Dalek Figure also features the 6-page Collector Magazine #2 spotlighting the character and the history of Doctor Who. Ages 14 and up.